Have you ever walked or driven down a clean, beautiful neighborhood and wondered, “How could something as dirty as a street look so clean?” Tires, shoes, oil, grime, leaves, and mud constantly roll down the asphalt, so how could a street actually seem clean? 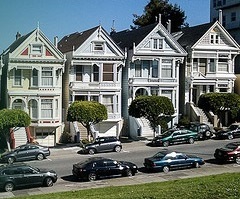 Chances are, we at CleanSweep Services, Inc., have probably been in the neighborhood. We offer professional street cleaning and pressure washing in San Jose to wipe up grime and leave neighborhoods clean, tidy, and polished. Our broom sweeper trucks and air vacuum sweepers put serious pressure on streets, roads, parking garages, and parking lots without damaging surfaces. Instead, we apply just enough pressure to sweep up, loosen, and remove all signs of a mess. 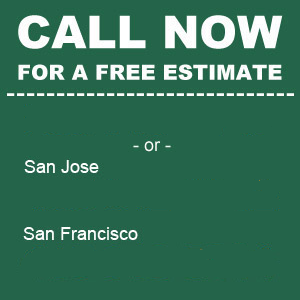 Our pressure sweeping services are available 24 hours a day, 7 days a week throughout San Jose and all of the Bay Area. We can clean your streets and parking areas early in the morning or in the middle of the night to avoid inconveniencing local traffic. That’s because at CleanSweep Services, Inc., we put the local community first. We rely on air vacuum and sweeper trucks that can handle everything from litter to compacted gravel and other residue. Our employees are trained, professional, insured, English-speaking, uniformed, and dedicated to cleaning thoroughly, so your lot or neighborhood looks cleaner than ever. Call us for street sweeping and pressure washing in San Jose to see what we can do for you. We want to make San Jose a presentable community for residents and tourists alike, one street at a time.